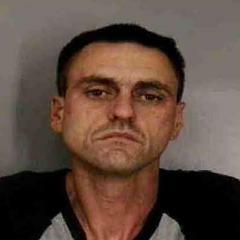 Polk County Sheriff's deputies are seeking information on the whereabouts of 39-year-old David Boone, who has a warrant for his arrest for numerous charges, including Aggravated Battery on a Law Enforcement Officer. Boone's charges stem from an incident that occurred on Wednesday, February 27, 2013. A PCSO deputy on patrol in the northeast area of Polk County observed a stolen 2007 Dodge truck traveling northbound on U.S. 27 in Davenport. The deputy initiated a traffic stop on the truck. The truck attempted to flee, but became stuck in the sand, and when the deputy ordered the driver out of the truck, he refused. The driver, positively identified as David Boone, DOB 5/8/1973, then put the truck in reverse and struck the deputy and the deputy's patrol car, before fleeing the scene. The deputy has minor injuries. The truck was later found abandoned in Davenport. It was confirmed stolen from Hillsborough County on February 16, 2013. Deputies have obtained a warrant for Boone's arrest for Aggravated Battery on a LEO, Aggravated Fleeing to Elude, and Resisting Arrest with Violence. He also already had a warrant for Violation of Probation (original charge - Fleeing to Elude). Boone's last known address is in Haines City. Attached is a recent photo of him. If you have information on Boone's whereabouts you are urged to contact the Polk County Sheriff's Office at 863-298-6200. ANYONE WITH INFORMATION WHO WANTS TO REMAIN ANONYMOUS AND BE ELIGIBLE FOR A CASH REWARD IS ASKED TO CALL 1-800-226-TIPS or LOG ONTO www.heartlandcrimestoppers.com. ANONYMITY IS GUARANTEED! iPhone and Droid users can download a free tip submit app to anonymously report crime. To install these free apps, please visit www.tipsoft.com.